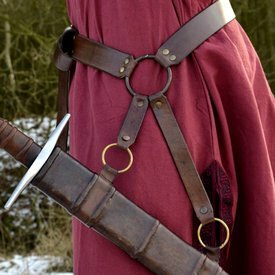 This luxurious hand-and-a-half sword has a unique grip. 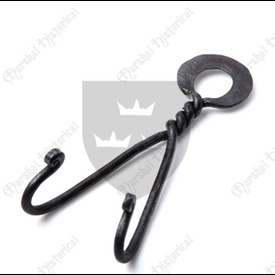 This pommel is an artistic finished scent stopper type pommel and the cross-guard is straight but made with the same decorative finish as the pommel. 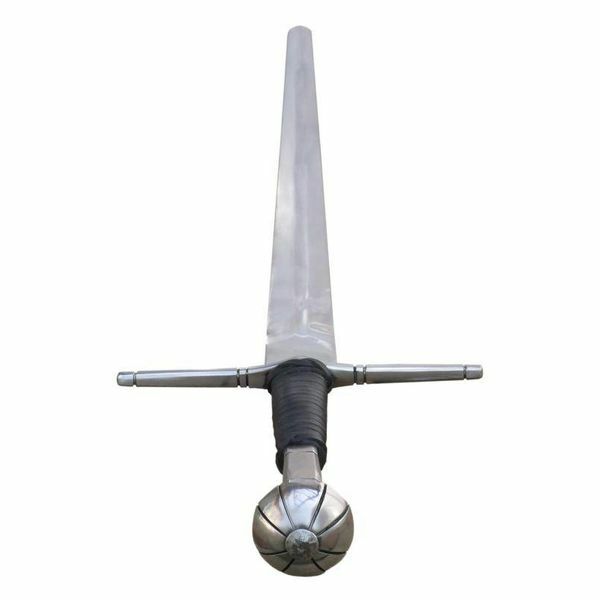 Swords like this occurred during the late 14th and early 15 th century all over Europe. This replica is made after a French original. 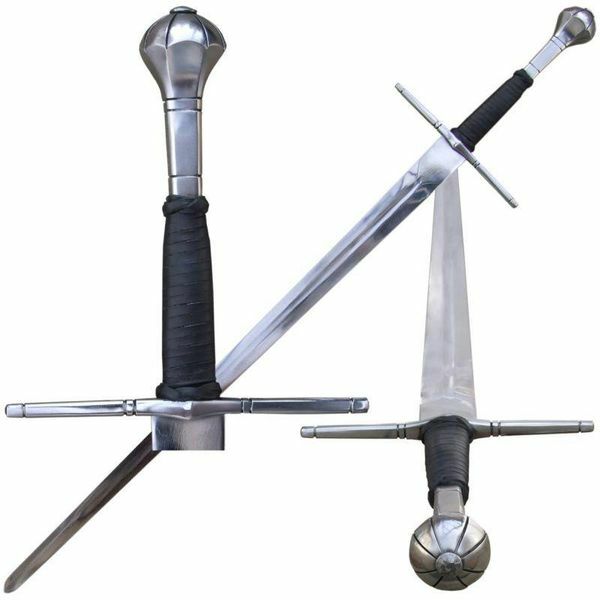 Similar swords occurred during the late 14th and early 15th century all over Europe. This replica is made after a French original. 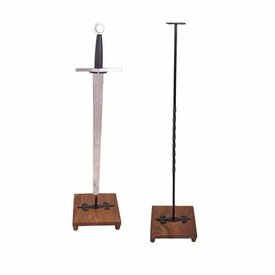 Similar originals are part of the collections of the Wallace Collection in London, the Royal Armouries in Leeds and the Royal Treasury in Vienna. 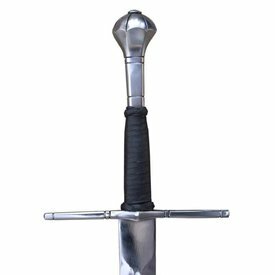 This sword has a length of 112,5 cm with a blade of 87 cm and a cross-guard of 23 cm. 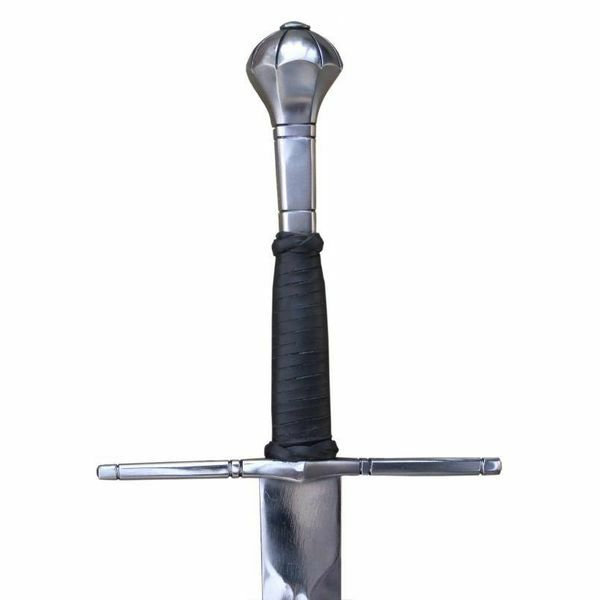 This sword is an Oakeshott type XVa.